Mary Viola Riggs, 91, of Mesa, Arizona, beloved wife of the late V. Keith Riggs was born on December 20, 1923 in Globe, Arizona. 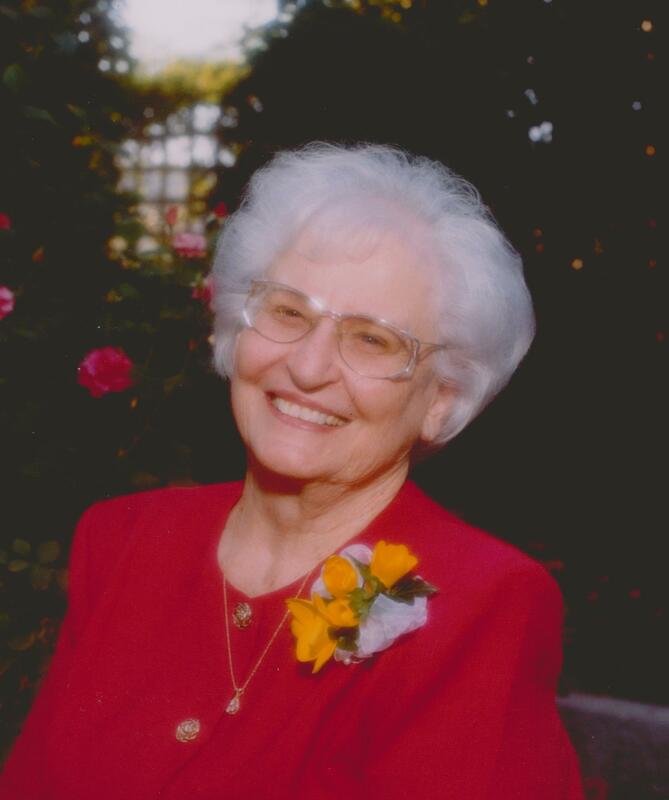 On the morning of Sunday, August 30, 2015, Mary passed away peacefully of natural causes in Mesa, Arizona. She was the daughter of Otto and Hattie Malone of Globe, Arizona. Mary was preceded in death by her daughter Judy Palmer (Jim) and siblings Jessie, Alice, James, Edna Rae, and Thomas. Mary is survived by her children Russell Riggs (Sundy), Gerald Riggs (Cynthia), Alma Goodman (Gary), Vicki Sherwood (Sam), and her sister Ruth. She has 20 grandchildren, 67 great-grandchildren, and 8 great-great-grandchildren. Mary attended school in Globe, Arizona and graduated from Globe High School in 1941. Mary married Keith on June 22, 1941, and they were later sealed in the Mesa Arizona Temple. She served in many positions within her church, where she was loved by all. Mary and her husband Keith served a full time mission for the LDS church in Milwaukee, Wisconsin. Her greatest joy in life was being with and serving her family. A visitation will be held on Thursday, September 3rd from 6-8 PM at Bunker’s Garden Chapel, 33 N. Centennial Way, Mesa, AZ. Funeral services will be Friday, September 4th at 10 AM, preceded by a visitation at 9 AM, at the LDS Groves Ward, 1550 N. Val Vista Dr., Mesa. Burial will take place at the City of Mesa Cemetery. In lieu of flowers, please consider donating to Hospice of the Valley, or The Perpetual Education Fund of the Church of Jesus Christ of Latter-day Saints.